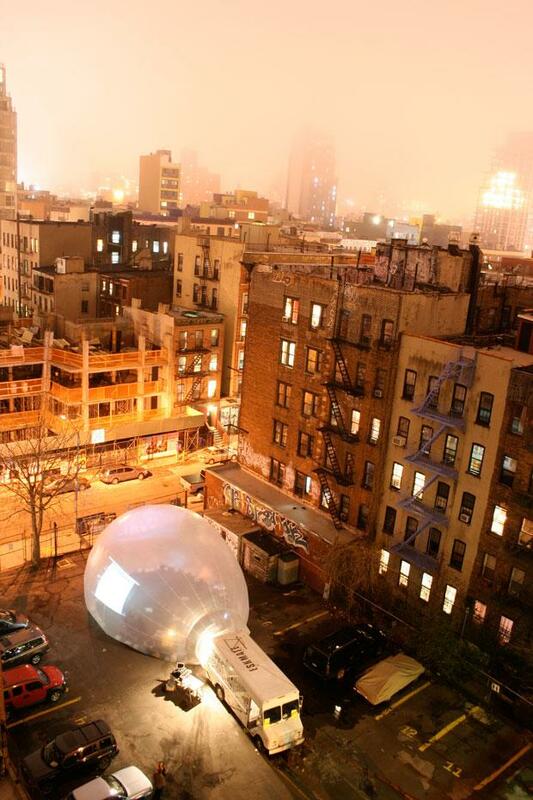 Spacebuster by Raumlabor in NY, 2009, photo (c) Alan Tansey. 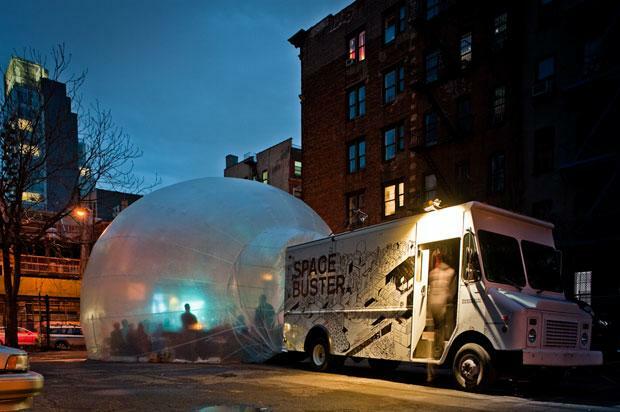 The Spacebuster, is an inflatable mobile structure commissioned by Storefront for Art and Architecture and designed by Raumlabor, conceived as a transportable pavilion to transform public spaces of all kinds into points of community gathering. 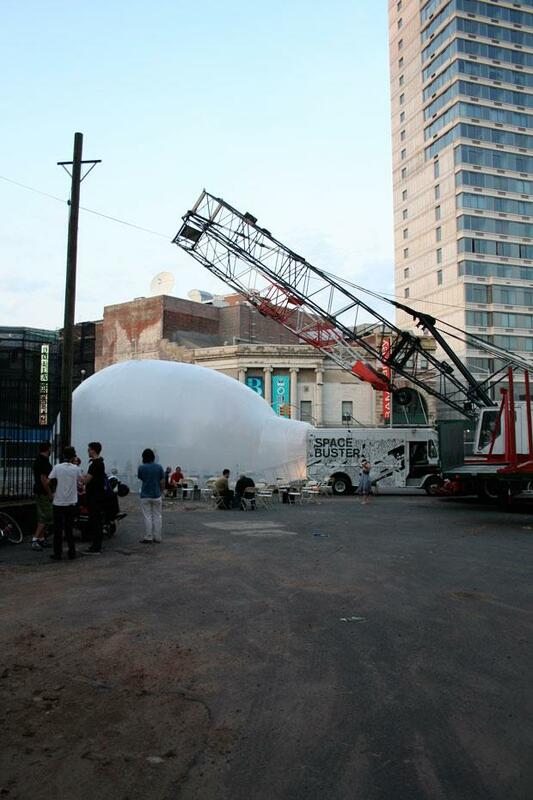 Spacebuster has made its appearance in the streets of Manhattan and Brooklyn once in 2009 during a nine day tour and the second time in 2011 as part of the Ideas City Festival, organized by the New Museum. 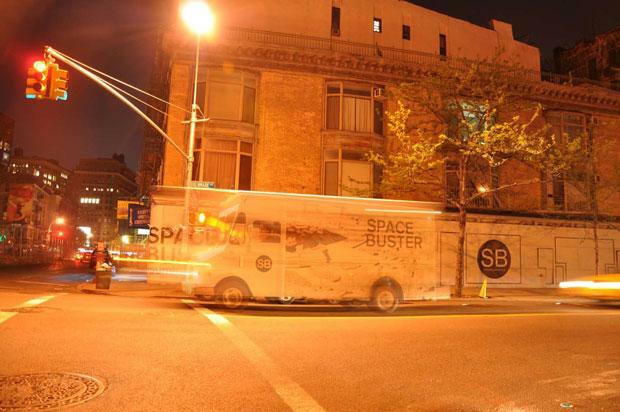 This year Spacebuster returns for the 2013 Ideas City Festival, as part of the StreetFest program, to provide an interior space for hosting a day-long series of performances on “Nothingness”. 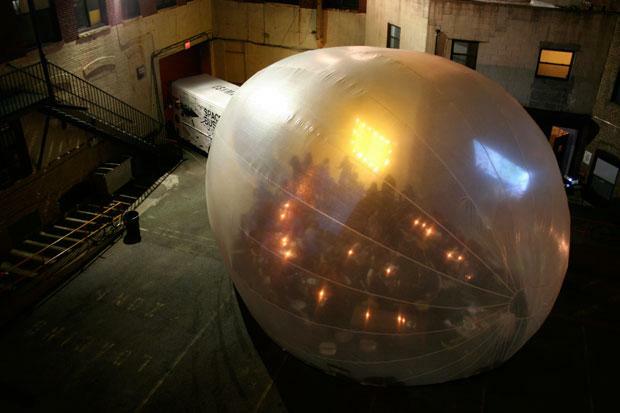 Storefront has put out an open call for applications, inviting artists and architects to propose 1-30 min performances “able to construct blank and unknown spaces: blind spaces, deaf spaces, void spaces, blurry spaces, and fuzzy spaces” to occupy the translucent bubble of the Spacebuster. 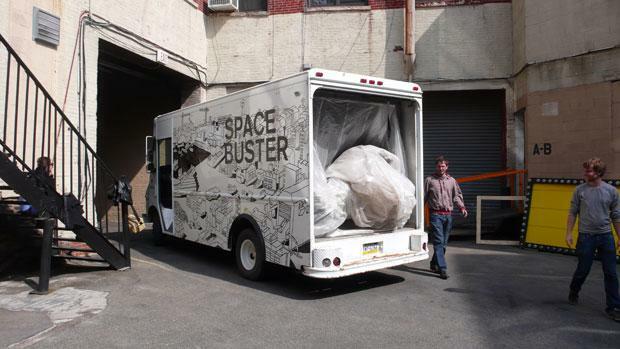 ↑ The Spacebuster is build on the basis of a step van and a big inflatable space coming out of the back of the van fitting up to 80 persons in it. 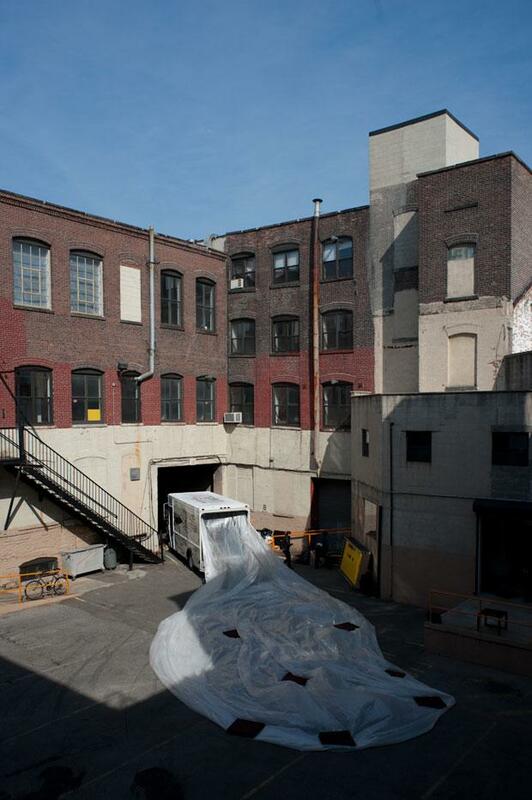 People enter the bubble through the passenger’s door of the van walking through to the back down a ramp right into the inflated space. The bubble is supported by air pressure generated by a fan underneath the ramp. 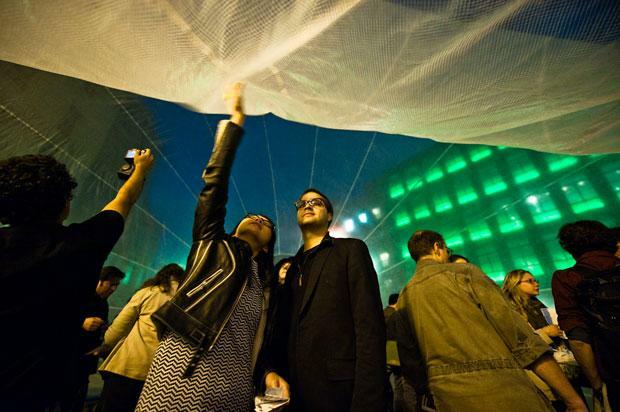 Spacebuster revisits the idea of using air as a structural material, originating in the short-lived 60s and 70s trend of experimental architectural projects by groups like Ant Farm and Haus-Rucker Co, evoking connotations of lightness, transparency, temporality, difference. 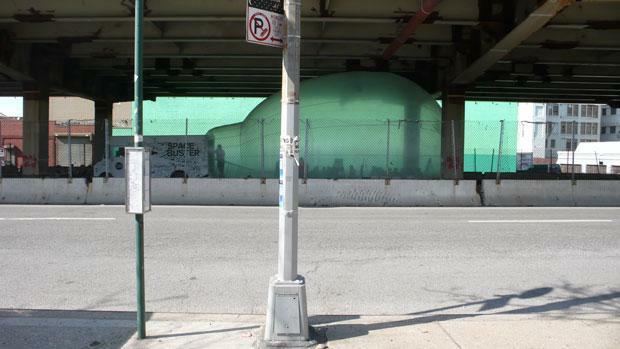 The inflatable environment by Raumlabor embraces these qualities placing them in the context of spontaneous engagement with and reactivation of disused or underused public spaces. 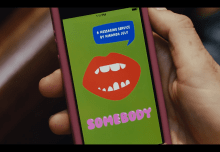 Apart from being a mobile structure, Spacebuster offers a flexible platform to host many different kinds of interaction and exchange, this year to be an ‘experiencial forum’ – in the words of Ideas City Festival website. 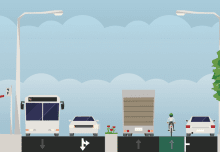 Read more about the previous events hosted in the Spacebuster here and here.